This first image is one that my father made back in the mid-1950’s, that I had posted on my father’s blog a while back. It was just a straight image that I had cleaned-up. I just thought it was an interesting image … I am not exactly sure of where this is out West. 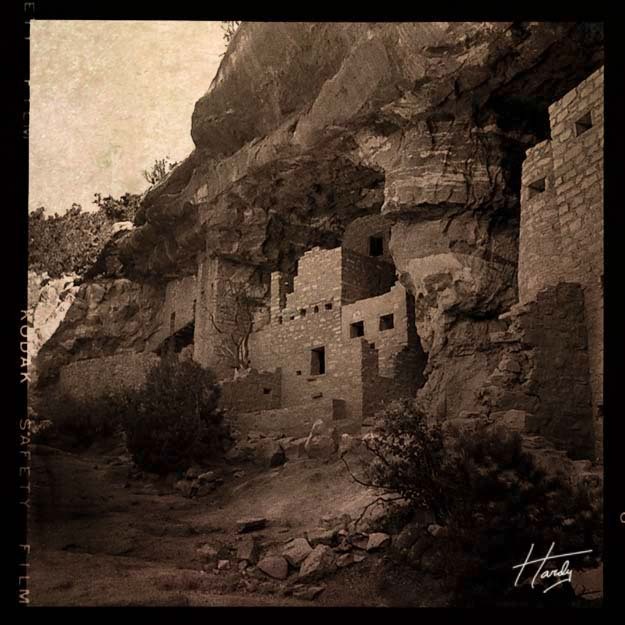 I think that I just titled it something like ” Cliff or Cave Dwellings “. 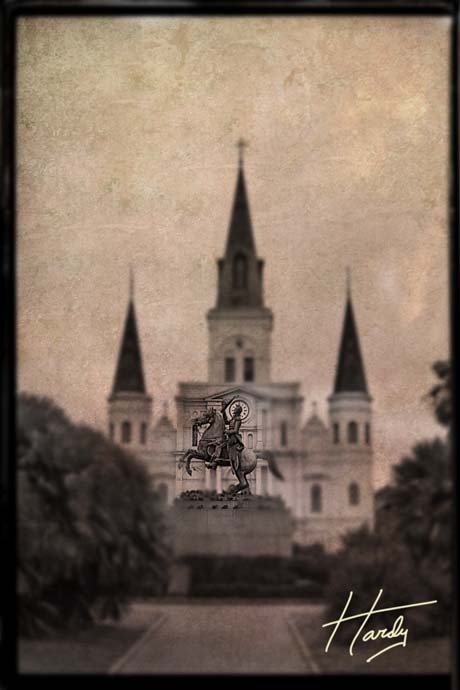 All I did was add a texture overlay and added a color-tint to the image The image below is one that I made over in Jackson Square in the French Quarter thirty years or so ago. I did the same thing, but I also added a selective blur to bring your focus back to the statue of Andrew Jackson.